Perhaps you will be after reading the reviews of the recently released A SEA OF SKULLS, Book Two in the Arts of Light and Dark epic fantasy series. If you haven't started the series yet, you will probably want to start with Book One, A THRONE OF BONES, which is available in Kindle Unlimited. “A Sea of Skulls” picks up and accelerates the pace from “A Throne of Bones”. We see some well-developed characters killed off, but encounter other interesting characters of multiple Selenoth races. Amorr and its former allies and provinces gird for war, while a Lost Legion allies with X to defend against a major orc invasion. The elves and dwarves gather their forces to defend against orcs, and also to keep a sharp eye on Man. At several places, you feel a cold chill as you realize one of the minor characters might well be one of the first race, hiding in shadows, biding its time and waiting to seize power for their own ends (enslaving or destroying the younger races). The action and lead characters are spread across the continent, where military action or political intrigue in one realm affects three or four others. The story line is woven more deftly than the first book, and increases the pull of action and intrigue. Each race has its backstory and cultural values; gruesome as some may be, the cultures, assumptions, and lifestyles are internally consistent. 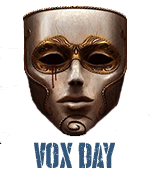 Vox Day also describes each race’s military merit well, showing a consistent triad of strategy, tactics, and logistics that fits with the race’s culture. There are no all-powerful and ever-victorious species in Selenoth; the trick is in understanding your own strengths and then using you enemy’s weakness to best effect. Coalition forces work or don’t work, based on how well the commanders enhance strength and mitigate weaknesses. Political and social life are well written and reasonable for each race. Some of the best moments in the character views are watching how one observer looks in amazement or bemusement at how another race or culture lives – the fish out of water scenario. The set of viewpoint characters is finite and severely bounded, so it’s possible to keep several scattered event tracks in mind with minimal searching for a reminder. There is a comparison to be made with A Song of Ice and Fire. By comparison, the Arts of Dark and Light is written much richer, more coherently, with a better span of scope, and with a definite conclusion in mind. From the moment you pick up, and/or scroll through your epub device, you will not be able to put this book down until you have finished it.... If ASOS were an MMA fight, you will be punched in the face in the first thirty seconds, and continually pummeled until the end. There is no respite, no pauses in the action…you will experience Ali fighting Frazier from the moment you begin until the instant you reluctantly put the book down. Each POV character introduced is both interesting and endearing. The characters are so expertly written, that you find yourself wondering who you are rooting for. You will not need to continually consult the appendix to figure out who is speaking…the characters are immediately apparent and recognizable. I slogged through Jordan’s Wheel of Time series years ago. I thoroughly enjoyed, and struggled through, Martin’s endless introduction of characters in his later books. Regarding both great authors, I must admit that there were times where I scrolled quickly through the flotsam to get to the action. ASOS requires no such recklessness. For those who disregard Vox Day as a Christian seeking to further his evangelistic agenda, have no fear. There is none of that. The prelude itself will avail you of any attempt to evangelize the Christian agenda.... Vox Day has successfully taken a genre and, as no author has done in the past decade, rewritten the rules for fantasy and violence. As others have noted, this sequel is better than the original. The writing is better. The characters get better. The dialog gets better. Everything is better. And the first was great. There is a love that Vox has for his characters. It shows in the richness of vision that describes them, and the way he holds them true to themselves and the culture that created them. It is easy to suspend disbelief in Selenoth and to get caught up in the narrative, carried along by the vivid "lifefullness" of his creations. Even the antagonists in the story, fighting for the "wrong" side, are delivered with an empathy to allow the reader to ride alongside them: Thinking what and how they think, feeling what and why they feel. Wrap those characters around a exceptionally good story line and you come out with the absolute best novel of the year. I can't recommend this book highly enough. I have hours poring through this monster.... and I can say it is superior in every way to its predecessor. Be forewarned... if you haven't read A Throne of Bones recently it may be worth your while to refresh your memory a bit. This book doesn't hold your hand. There is no backtracking to catch you up on important details you may not remember. And if you haven't read A Throne of Bones then you absolutely cannot start with this one. The version released so far I found good, but not up to ATOB. On the other hand, I rate ATOB brilliant, equal to Corriea's "Son of the Black Sword", but with a finer touch for the races of Selenoth. ASOS version 1.0 lacks a clean end...doubtless version 2.0 will have that. I will have to re-read ATOB. It's been way too long, and I can only remember the story in pastiche. That, and because when I first read it, I was also reading Michael J. Sullivan's Ryrie series, which while very different, has enough similar elements that I sort of blended them together in my memory. i wont be able to buy in time to contribute to the initial rush, but i am looking forward to this one. Your writing style is a bit more pragmatic than im used to, but ill agree and say you have one on Martin and ATOB was a great read, enough to where im genuinely excited about reading ASOS. Congrats on the release. Any chance this one is making its way to the Hugos? Any chance this one is making its way to the Hugos? Given the new rules, that's unlikely. Tough competition within Castalia alone. That might make for an interesting debate; both JCW and Mulrooney have pretty worthy contenders that merit due consideration. But it might be a serious Best Series candidate. Would love to read an honest "I hate Vox Day... but" kind of review. I would love to read a positive "I hate Vox Day, but..." review. 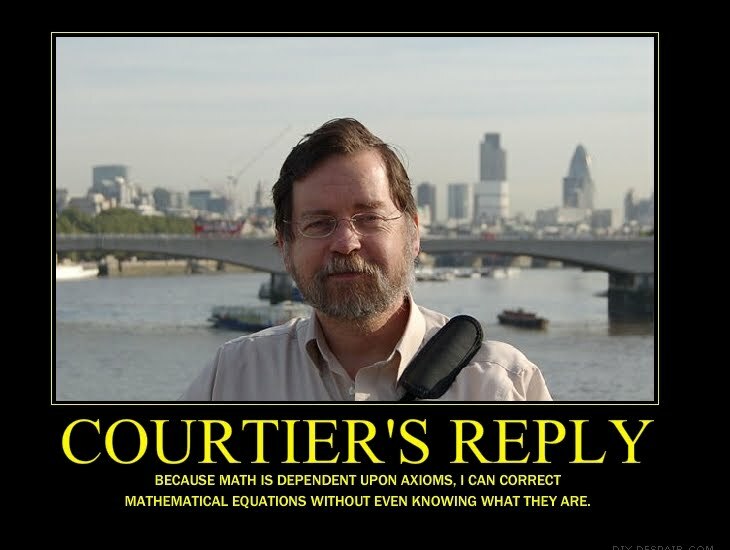 An Equation of Almost Infinite Complexity is the Catch-22 for our generation. I doubt I will read it at least until it is interested. I don't want to have to reread the same again when you rest is released. I would love a good and cheap audiobook version of both, so I can listen to them instead. I have picked up a fair number of companion audio offers from Amazon/Audible since they were quite low in price. Did you consciously consider recent events in writing this? I was tempted by Peter F Hamilton's latest; the blurb sounds like he's taking a local issue and throwing it a few hundred light-years into space. Finished SoS today. Pretty damn good! I will be more than ready, come the final version, to reread the whole thing. Knowing I will have an extra 25% or so is icing on the cake. The battle scenes are epic and show a master's knowledge of strategy and tactics of the various peoples. Yes, even Orcs have a strategy of sorts. If an Orc army could ever be trained to Legion standard they would own Solenoth. Not happening, of course. Read A Throne of Bones, or reread it, before tackling A Sea of Skulls. You will thank yourself. Recently had an interesting conversation with someone from Japan, after I had commented that I struggled with remembering all the Japanese names of the 100s of families that I interact with (church, school, socially). He commented that it is much easier for them to remember each other's names despite their similarity because they can read the Kanji and to them, their names also have meaning - Ishikawa = stone river, etc that helps them associate the person, name, and image of something descriptive. For your Latin Selenoth names, it grows a little confusing sometimes because some knowledge of Latin language leaves you with a taste of what their name may mean, but after awhile the names start to sound alike and it can be difficult to keep all of the family names straight, especially when they change or have nicknames also used. Several years ago, either yourself or the Original Cyberpunk talked about adding too many new terms or names of things (was it more than 5?) can be a dangerous thing. Because your books, characters, races, and plot are engaging, it isn't much more than a very minor annoyance. With myself for not knowing more latin which would make it easier. I wonder if some potential readers with average IQs may struggle with keeping the names straight because they look/sound similar but if you know the meaning behind the name it is distintive (and most don't know much latin at all). Or perhaps it is because I'm usually reading it on a small phone screen with Kindle app. Vox mate ATOB is not available for Kindle in Australia. Is there any plan to change this? Just bought ASoS, and I look forward to reading it eventually. But I might read ATOB again first. Vox mate ATOB is not available for Kindle in Australia. Should be. No idea why it isn't. I want to get a copy of ATOB but I don't buy from Amazon cause they don't accept Paypal and I couldn't find it at CH. Either way, I'll buy something for Christmas in support of indy publisher. Ok that was it. I will buy both books and read them. I want to get a copy of ATOB but I don't buy from Amazon cause they don't accept Paypal and I couldn't find it at CH. You can buy a print edition from B&N or any other bookshop. Or perhaps it is because I'm usually reading it on a small phone screen with Kindle app. The Kindle app on my Android phone averages around 110 words per screen at a font size I can read for hours without eye strain. ASOS is 449 pages per Amazon; say 250 words per page is roughly 112,250 words. On a phone that works out to 1,020 page screens; not as bad as I initially thought. Say 4175 page screens on Android phone. That's a whole lotta swiping. From what I've read, I agree with these reviews. Regarding the Christian issue. Sometimes your Christian faith testifies in the richness of the tapestry you weave, whether in a book or in your life. Years ago, after a long conversation with a client about cash flow woes, he blurted out that he wished he was a Christian because I was so calm about cash flow. Blew me away because I was as frantic as he was. Dang, I'm not at all sure I can figure out who the minor character who just might be a Watcher is. Good call by that first reviewer. Now I'll have to reread to see if I can catch it. I'm being 100% sincere. ASOS is exactly 162,860 words. ATOB is 297,500 words.